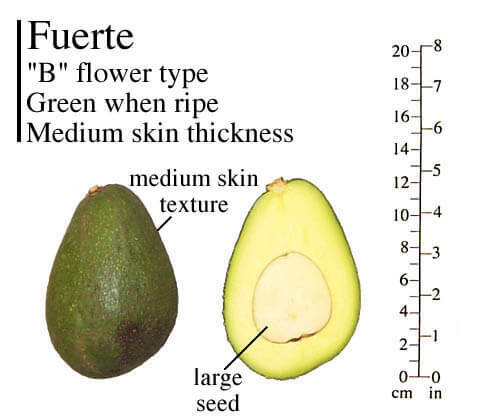 The Fuerte avocado is the second largest commercial variety behind Hass. It is a long time California commercial variety valued for its winter season ripening and its B-Type blossom type which most growers plant adjacent to the Hass for a more consistent production cycle. This avocado tends to produce heavily in alternate years.